The Conservative Party is structurally stupid. As a force the Gods of social dynamics have condemned to a slow and unlamented decline, so madness inevitably manifests itself in all manner of horrible pathologies. A more signal example of this is George Osborne’s speech, made yesterday evening, basically outlawing the state’s ability to run a budget surplus. As most people have felt the pinch at some point in their lives, Osborne is hedging his bets that voters will see government finances in much the same way as their own incomings and outgoings. Of course, there is a huge difference between the two. When a state spends money, there is a tendency for some, all, or a greater amount is returned to the treasury. It is a body that circulates money around the body of society. For example, when there are blockages, such as the (unfortunately, popular) cuts to social security, businesses that depend in part on the income of people relying on collective provision suffer, they don’t invest, they lay people off, and the return to the state is lower. Osborne knows this, otherwise he wouldn’t be so gung-ho about the idiocy that is High Speed Rail 2. But he also knows, thanks to a little help from their friends, the Tories have pulled off the trick whereby economic competency is identified with deficit and debt reduction. Because Labour utterly failed to contest arguments about its record in power, Osborne and friends have pulled off a coup whereby the crisis of the private sector was transformed into a crisis of public spending. This budget lock is about consolidating that position, so come 2020 a – he hopes – Osborne-led Tory party can clean up by monopolising the economic competency card, and, yet again, frighten an anxious and atomised electorate into giving them a go. And if they don’t win, a Labour government would find it politically tricky to dump the budget law because, again, who can possibly be against the state living within its means? Labour’s intellectual straitjacket – who’ll lead us out of the economic cul-de-sac? Labour failed to fix the roof whilst the sun shone say the Tories so they’ve set themselves up in the roofing business in order to prove they are reliable on economic matters. At least they agree the sun was shining when Labour was in power. However there will be no more `normal’ times for capitalism which is essentially dead. But Labour will continue its descent into irrelevance and break up if it does not admit that under New Labour whilst it only borrowed and spent within the usual limits determined by income it put the country in hoc to the banks and once that Ponzi Scam came crashing down not only did they loose the huge tax revenue from it but were lumbered with the truly astronomical liabilities of the bankers with an economy that produces nothing. 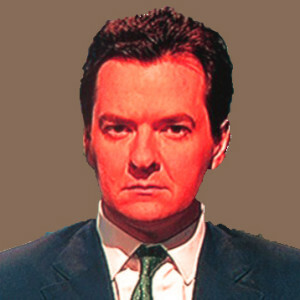 George is good at playing mind games; he was after all their Election Supremo and won them a majority. Ours was turfed out of Scotland. I am puzzled by the idea that the Tories economic strategy is “stupid”. The last two paragraphs tell us something else: that Tory economic ideology is so entrenched that it binds Labour. That is, the policy of dismantling the public sphere and of protecting the interest ofvthe rich. From a Tory perspective that seems very far from stupid. In fact the stupidity seems to be much more in evidence on the Labour side with its lack of ability to see capitalist crises for what they are and its lack of any perspective outside/beyond capitalism. Perhaps somewhat surprisingly, (well it surprised me anyway,) I completely agree with you, singularly well put. I’m only working class so I could be wrong,but do have a look at your second sentence. Is it sentence pendant, or just badly punctuated? The Progress peoples now fighting to become leaders one sent me an email saying vote for me, please then another then another, two are all for running a budget surplus. It’s getting to the point where we have two Tory Parties one Tory and one Tory lite. When is a surplus the opposite of a surplus? Answer: When it is a budget surplus. Gov’t needs to spend in order for there to be ‘money’ in the economy (NB banks create debt). We know that that is true because it is called counterfeiting if anyone else creates ‘money’. Tax receipts are not gov’t income but a means of keeping the ‘right’ amount of ‘money’ in the economy because too much is inflationary. So if gov’t spends £100 and takes back tax receipts of £90 (a deficit), there is £10 left in the economy as savings or investment. But if gov’t spends £100 and takes back £110 in tax (a surplus), the economy is reduced by £10, private debt increases and the economy starts to go into a recessionary spiral. The economy is not like a household and deficit/debt do not mean the same in economic-speak as when individuals ‘max out their credit card’. Someone should give Liz Kendall a hint.